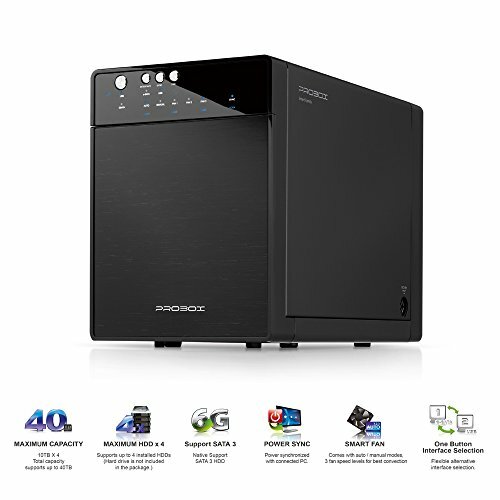 Mediasonic PROBOX HF7-SU3S3 is a 4 bay 3.5-inch SATA hard disk drive enclosure. HF7-SU3S3 supports 4 x SATA I / II / III hard drive with USB 3.0 transfer rate up to 5.0 Gbps and eSATA transfer rate up to 6.0 Gbps. Smart Fan with built-in thermal-sensor, Auto & Manual modes, and 3 speed levels. One button interface selection. If you have any questions about this product by Mediasonic, contact us by completing and submitting the form below. If you are looking for a specif part number, please include it with your message.